A MILITARY-STYLE terror campaign targeting opposition leaders in the aftermath of the July 30 election has reportedly forced MDC Alliance presidential candidate Nelson Chamisa’s top aides to go into hiding, fearing for their lives, further delaying their planned court challenge. MDC Alliance co-principal Tendai Biti, party chairperson Morgen Komichi and youth leader Happymore Chidziva are among several party leaders reportedly in hiding following the crackdown by suspected State security agents. Political tension has been high in most parts of the country since last Wednesday’s fatal shooting of seven protestors in central Harare by soldiers. The protestors had taken to the streets to register their displeasure over alleged rigging by the Zimbabwe Electoral Commission (Zec) in favour of Zanu PF and delay in announcing the presidential results. Since then, masked soldiers have declared an unofficial curfew in Harare, Marondera, Mutare, Gweru where they occasionally beat up residents without provocation, especially at night. The suspected “rogue soldiers” have also launched a manhunt for all senior opposition officials or those suspected to have organised last week’s protests. 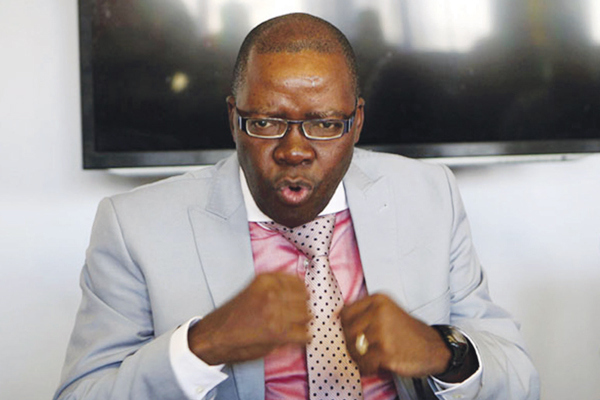 The night raids at MDC Alliance officials came shortly after police last week said they were looking for Biti and Chidziva in connection with last Wednesday’s bloodbath. Chidziva yesterday said he would not hand himself to police, but declared that he would continue to lead party youths “to defend our vote”. “We are clear that the vote will be defended, the people will rise up and take constitutionally permissible actions of rejecting this farce of an election result, something that was cooked by Zec. I am going to remain in Zimbabwe and lead the fight to defend that vote until the winner Nelson Chamisa is declared as such,” he told NewsDay in a telephone interview from his hideout. “It’s not the police who are looking for me, how do police raid my house in masks, abduct my family and beat them up? It is clear that the police are being used to bring sanity on a crackdown of the MDC Alliance. Handing myself over is like committing suicide. I am not going to do that,” he said. NewsDay also gathered that Komichi had gone into hiding following a nocturnal visit at his home by a group of plain-clothes security details late on Sunday. Chamisa’s spokesperson Nkululeko Sibanda confirmed Komichi was on the run. “Yes, I have been advised he is in hiding because some people came to his house looking for him in the dead of night. They (authorities) have identified Komichi and myself as the hot-heads,” Sibanda said. He refused to disclose the number of party supporters who had gone into hiding from the military, saying doing so would expose them to attacks. “The purpose of the crackdown is to make sure that the election results declared by Zec are not challenged,” Sibanda told a Press briefing. He said Chamisa was concerned by the intimidation and arrest of his top party officials. To date, police have arrested 27 suspected opposition activists in connection with last week’s violent clashes between MDC Alliance protestors and State security agencies. National police spokesperson Senior Assistant Commissioner Charity Charamba would not be drawn into commenting on the matter. Meanwhile, an MDC candidate for Chivi Central constituency Henry Chivhanga yesterday took to Twitter, posting a picture of bullet casings found by his wife outside their house. “My wife found these bullet casings outside our door. I am at the police making a report right now. Maybe this was some sort of warning?” Chivhanga, who is living with disability, tweeted. Chivhanga, who is chairman of the Disability Amalgamated Community Trust, said he had since reported the matter to the police (case ref 8715/18). Contacted for comment, Chivhanga said he was now fearing for his life. “That was a rare parcel and who knows what will come next? I am now fearing for my life,” he said. Masvingo provincial police spokesperson, Inspector Charity Mazula, said she had not received the report yesterday.